Lost Mesa is pleased to offer mixed annual inserts, beautifully planted for sunny or shady locations. We also custom plant containers as supplied by the retailer! Please contact us to learn more about this service. 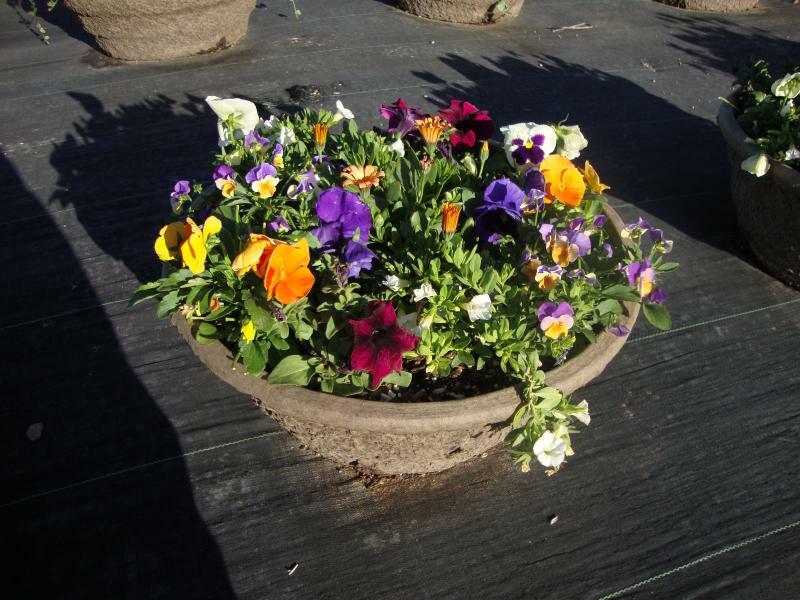 Round, fiber whiskey barrel inserts are planted with colorful mixed annuals. 18-inch and 21-inch sizes are available, per the weekly availablity list. 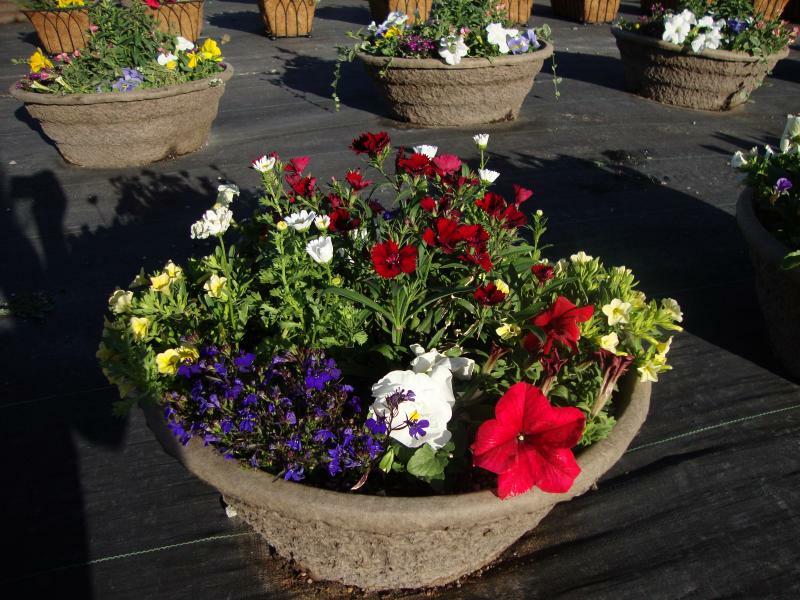 We also proudly offer custom planting of containers as supplied by the retailer. 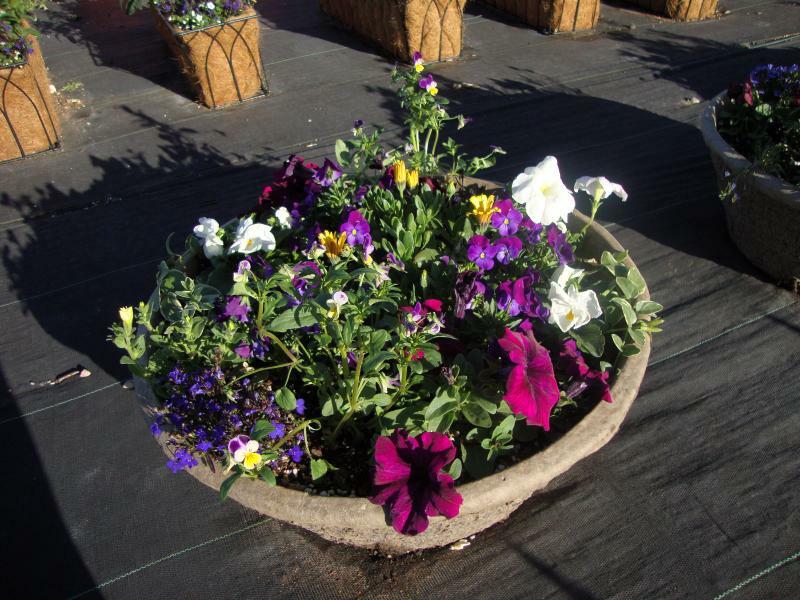 We have experience in planting both large, free-standing containers and hanging baskets of all sizes according to the retailer's specifications. Please contact us to learn more about this service.